ISCRE 26/APCRE 9 will be held in New Delhi, India on December 6-9, 2020. Please visit the symposium website. NASCRE 4 was held in Houston, Texas, March 10-13, 2019. ISCRE 25 was held in Florence, Italy on May 20-23, 2018. ISCRE 24 was held in Minneapolis, MN, USA, on June 12-15, 2016. ISCRE 23/APCRE 7 was held in Bangkok, Thailand, September 7-10, 2014. NASCRE 3 was held in Houston, Texas, March 17-20, 2013. ISCRE 22 was held in Maastricht, the Netherlands, September 2-5, 2012. 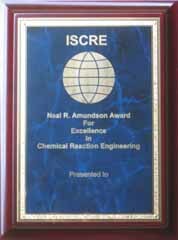 ISCRE 21 was held in Philadelphia, Pennsylvania, USA, June 13-16, 2010. ISCRE 20 was held in Kyoto, Japan, September 7-10, 2008. NASCRE 2 and MACKiE 2 were held in Houston, Texas, February 4-8, 2007. Send mail to admin@iscre.org with questions or comments about this web site.